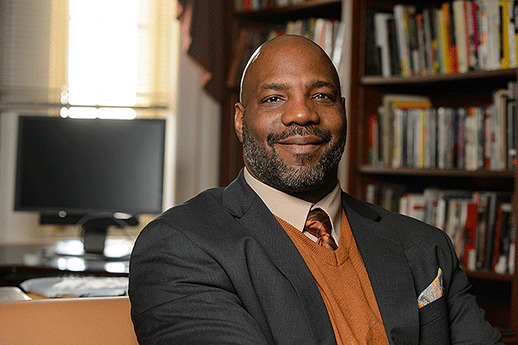 Jelani Cobb is director of the Africana Studies Institute at the University of Connecticut and an associate professor of history there. His lecture topic will reference the major current events in Ferguson, Missouri. Editor's Note, Feb. 17: This event has been canceled. “The Two Browns: Civil Rights in the Age of Ferguson” is the title of the Black History Month lecture to be given on Tuesday, Feb. 17, at 4 p.m. in the Oxford Auditorium of the Emory Bookstore, Oxford Road. Jelani Cobb will present the lecture. He is associate professor of history and director of the Africana Studies Institute at the University of Connecticut. Emory’s Department of African American Studies is pleased to host Cobb for the Black History Month lecture, says Andra Gillespie, associate professor of political science. For more information, contact Arneta Allen, 404-727-6847.